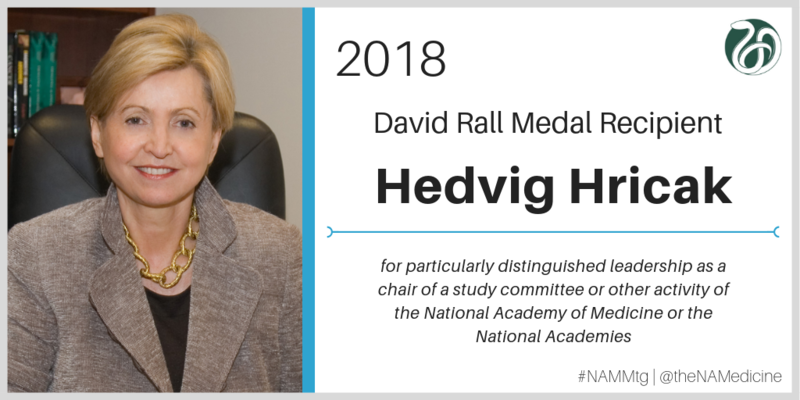 The David Rall Medal is awarded to a member of the National Academy of Medicine who has demonstrated particularly distinguished leadership as a chair of a study committee or other such activities in a manner that was particularly exemplary, demonstrating a commitment substantially above and beyond the usual expectations of a committee chair. Richard B. Johnston, Jr., M.D. Marie C. McCormick, M.D., Sc.D.